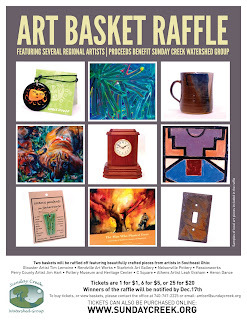 Sunday Creek Watershed Group will be raffling off two"Art Baskets" containing beautifully crafted works of art from local artists. Tickets are 1 for $1, 6 for $5, or 25 for $20. 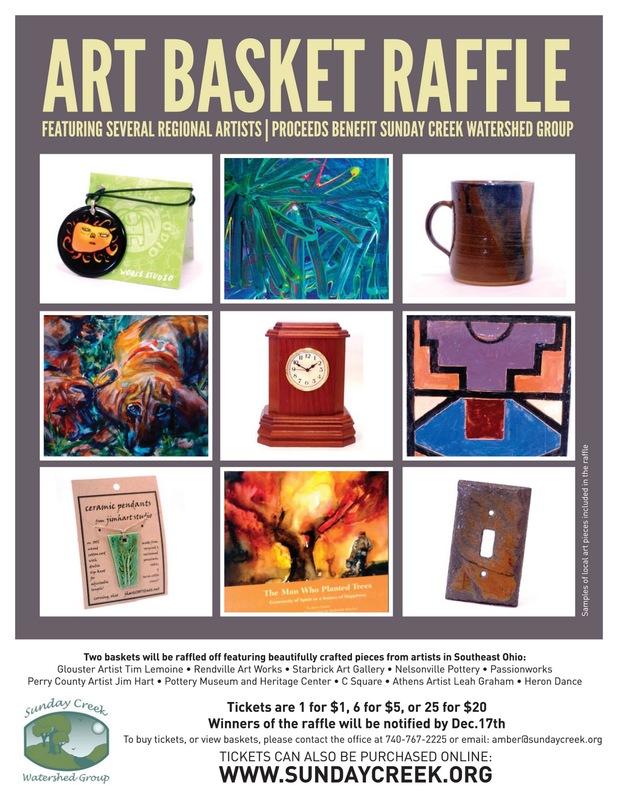 All proceeds benefit the Sunday Creek Watershed Group. Winner of the raffle will be notified by December 17th. 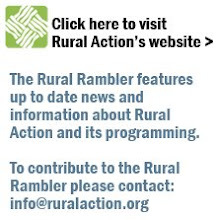 Buy tickets online at Sundaycreek.org, or write checks to Rural Action and send to the Sunday Creek office at 69 High St. Glouster, OH 45732. Please contact the office at 740-767-2225 or email amber@sundaycreek.org for more information. CLICK HERE TO BUY TICKETS ONLINE! !